Stoke City’s drop down to the Championship has proved tumultuous so far, as the Potters came into the weekend sitting in 15th, the lowest of the three relegated sides. Change has been a painfully slow process and form has deserted some of Stoke’s key men. Many fans took to turning their furore towards Stoke’s old guard, laying blame at the likes of Erik Pieters and captain Ryan Shawcross. The latter has taken more than his fair share of the blame for disastrous results like the 3-0 defeat against Wigan, as the team adapted to Gary Rowett’s style. 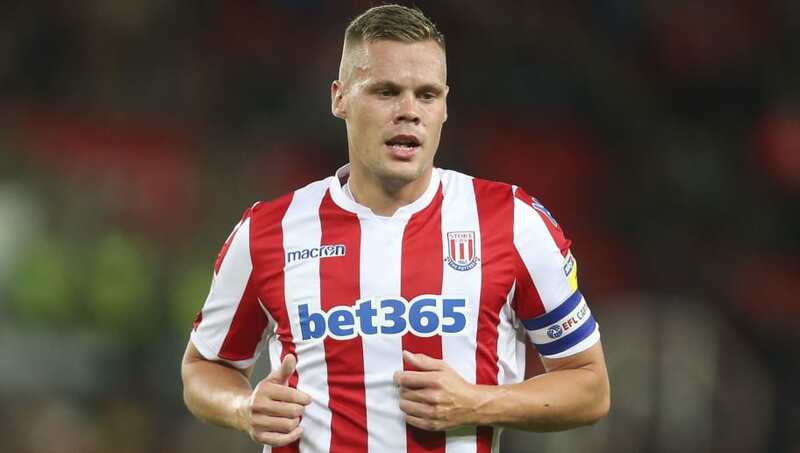 Shawcross was stripped of his captaincy and lost his place in the starting lineup, with the defence a shambles – Stoke conceding two or more goals in eight of their first 12 fixtures. Despite results not initially picking up, Rowett kept faith in his new centre-half pairing of Ashley Williams and Bruno Martins-Indi. The addition of Ryan Woods made a huge impact on Stoke’s fortunes, with the midfield enforcer adding some much-needed mettle to the Potters backline. A deeper formation saw Woods operating in a sweeper role, providing crucial cover for the shaky defence. Those displays saw the new man handed the captaincy and has contributed to the recovery of form for Woods' midfield partners Joe Allen and Peter Etebo. ⚽️ Gary Rowett wants to see more goals from his attacking line after seeing his side improve defensively in recent weeks. With the midfield now ticking, Stoke have conceded just two goals in their last six, in stark contrast to their early season form. The defensive rigidity has come to the detriment of the attack though, which is now hindering the Potter’s ability to climb the table. With the confidence back in key men, Stoke need to start pushing further up the field in search of a balance to the formation. They need a leader at the back to keep the shape they’ve found and allow the midfield more freedom to attack. It seems like the perfect time to welcome Shawcross back into the fold, after his successful return against Tony Pulis’ Middlesbrough last week. With Pieters injured, Shawcross was called upon in a shuffled backline and put in a stellar display to help earn Stoke another clean sheet.  Two changes for this evening's game against @Boro, Ryan Shawcross and @etebo_karo both start. There’s still a large section of supporters who have scapegoated Shawcross and would like to see him dropped once Pieters returns. In truth though, he is still Stoke’s best defender despite having lost a couple of yards of pace in recent seasons. Stoke have improved from the side hovering above another drop zone but still look a long way off being genuine promotion candidates. The team still needs to improve and the club has to put themselves in the best position in time for the January window, where they will hopefully seek to strengthen again. The board have backed the manager so far but have also expressed anything other than promotion is unacceptable. They’ll be as disappointed with the clubs current standing as the fans, so Rowett needs to find the right combination – and he needs Shawcross to do that.